UNITED NATIONS – North Korea needs immediate food assistance after heavy rains killed scores of people and submerged vast swaths of farmland, a U.N. office said Thursday. That assessment was released by the U.N. resident coordinator’s office in Pyongyang following visits to flood-stricken areas in North Korea earlier this week. Floods caused by two storm systems last month killed at least 119 people and left tens of thousands homeless, according to the North’s state media. The United States said it would consider a request for assistance but has not received one, and it was not aware of Pyongyang making such requests to other states. “If requested, it would be something that that we would carefully evaluate but we are not at that point,” State Department spokesman Patrick Ventrell told a news conference in Washington Thursday. The flooding, which occurred on the heels of a severe drought, renewed concerns about North Korea’s ability to feed its people. In June, the U.N. said two-thirds of the country’s 24 million people are coping with chronic food shortages. Thursday’s U.N. report said torrential rains caused severe damage to homes, public buildings, infrastructure and farms, affecting maize, soybean and rice fields. 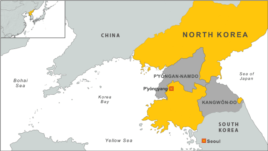 The worst-hit areas are Anju city and Songchon County in South Phyongan Province, as well as Chonnae County in Kangwon Province, where residents are in dire need of emergency food aid, it said. Some 36,000 families in Anju do not have access to clean water; wells are contaminated due to overflow of pit latrines and open drainage, raising the risk of a diarrhea outbreak, the report said. A city official told The Associated Press earlier this week that it was the worst disaster in Anju’s history. North Korean officials are asking for food, fuel, medicine, water and purification supplies, while farmers are requesting seeds and fertilizer for the next season, the U.N. said. Aid groups have donated emergency supplies, including the British-based charity ShelterBox, which dispatched 270 tents to North Korea, according to Howard Chang, a spokesman for Rotary International, who provides funding to ShelterBox. The U.S. government gave $900,000 in relief supplies for North Korea after deadly floods last year. A subsequent plan this year to send 240,000 tons in food aid in return for nuclear concessions was scuppered when North Korea tested a long-range rocket in April. Washington said that step undermined confidence that North Korea would stick to its agreement to allow proper monitoring of food distributions. China asked Seoul to make sure that South Koreans stop engaging in “organized activities” there to help North Koreans escape if South Korean activist Kim Young-hwan was to be released. Kim was tortured during his 114 days in Chinese detention for helping North Korean refugees. A senior diplomatic source here on Wednesday said China attempted to make Kim’s release contingent on South Korea putting a stop to activists’ help for North Korean defectors in the three northeastern Chinese provinces. “China threatened not to release Kim unless Seoul promises to stop organized assistance for North Korean defectors, but the South Korean government declined,” the source added. A senior South Korean government official confirmed the story. China is worried about the activities of South Korean NGOs helping North Koreans in the provinces adjacent to North Korea. Chinese police fear that North Koreans could escape en masse if organized assistance increases. There is also speculation that the North Korean regime has asked Beijing for help. After Seoul declined to meet its demand, China reportedly decided to deport Kim after a visit to Seoul last month by Minister of Public Security Meng Jianzhu. Seoul has been seeking a consular agreement with Beijing to increase protection of South Korean citizens for a decade, but progress has been slow. According to the Foreign Ministry, talks kicked off in May 2002 and were convened on three more occasions — in January 2007, January 2010, and December 2011 — but the gap in opinions remains wide. SEOUL, Aug. 2 (Yonhap) — A South Korean human rights activist who has accused Chinese security agents of torture during his four-month arrest said Thursday he will prove his claims through a medical checkup amid Beijing’s denial of the alleged abuse. The dramatic story of Kim Young-hwan, who was expelled from China and returned home on July 20, has taken another turn in recent weeks following his revelations of torture under Chinese detention. The 49-year-old activist recently described the beatings, electric shocks and sleep deprivation he endured during the early days of his arrest in northeastern China, exposing the Seoul government to criticism about its lack of action against Beijing. Kim was arrested on March 29 on suspicion of endangering China’s national security, a charge believed to be related to the activist’s efforts to help North Korean defectors in China and promote human rights in the North. China’s foreign ministry has rejected the allegations of torture, saying the investigation went according to law. Formal evidence of the alleged torture is expected to help Kim in the event that he decides to sue the Chinese government or take the case to the United Nations. Lee Kyu-ho, a 41-year-old Korean-Chinese, said he moved to South Korea in 2010 after having worked as a Chinese security agent from 1995 to 2002, and witnessed similar violence by Chinese authorities at the time. “In 1996, we took into custody a male North Korean defector who appeared to be in his late 30s or early 40s, and during the investigation, I kicked him with my heels and beat him with an electric rod,” Lee said in an interview with Yonhap. Kim’s detention drew public attention due to his personal background. He is a former South Korean proponent of North Korea’s guiding “juche” philosophy of self-reliance who later renounced his pro-North Korean ideology and became active in projects to raise awareness about the North’s dismal human rights record. NEW YORK, Aug.1 (Yonhap) — The two Koreas have informally teamed up against Japan in a war of diplomacy in the United Nations on the naming of the waters near them, sources said Wednesday. The 10th United Nations Conference on the Standardization of Geographical Names open earlier this week at the U.N. headquarters here, setting the stage for experts from around the world to discuss key issues relating to the handling of place names. International organizations formally call the waters between the Korean Peninsula and Japan the Sea of Japan. But South and North Korea insist its original name is the East Sea and that should be used at least concurrently. 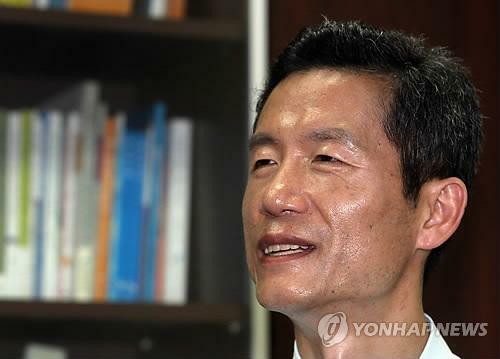 South Korean delegates are trying to publicize a nonbinding practice of using both of the names in case of disputes between countries, according to a U.N. source. But Japan claims that the single name should be maintained. The ongoing U.N. conference is not aimed at produce a conclusion on the sensitive issue but it is important in enhancing the awareness and understanding of the international community. During a meeting of the International Hydrographic Organization (IHO) in April, the South Korean government made a strong pitch for the East Sea to be used in the official maps of the international community. The IHO, however, decided not to revise its current “Sea of Japan” appellation this time. The next session will be held in 2017. Meanwhile, the U.S. made clear its longstanding policy of using a single name for the waters between Korea and Japan. The U.S., a key ally of both South Korea and Japan, has encouraged the two sides to “work together to reach a mutually agreeable way forward with the International Hydrographic Organization on this issue,” it added. (Reuters) – Recent torrential rain and a typhoon inNorth Korea have killed 119 people, made more than 84,000 homeless and destroyed some 46,000 hectares of crops, the official news agency said on Wednesday. It is now feared that the rains and typhoon that led to floods in many parts of the impoverished country will deal a severe blow to North Korea’s already malfunctioning economy and exacerbate its already serious food shortages. “Downpours swept some east and west coastal areas of the Democratic People’s Republic of Korea on July 29-30, leaving 31 people dead and 16 missing,” the KCNA news agency said on Wednesday, using the country’s official name. This was on top of the damage KCNA previously reported as resulting from about a week of heavy rainfall and floods earlier in July, which led to 88 deaths and left thousands left homeless. A United Nations inter-agency team was already deployed to the two hardest-hit areas to assess the damage from recent floods with a view to developing an aid plan, a U.N. official said on Tuesday. 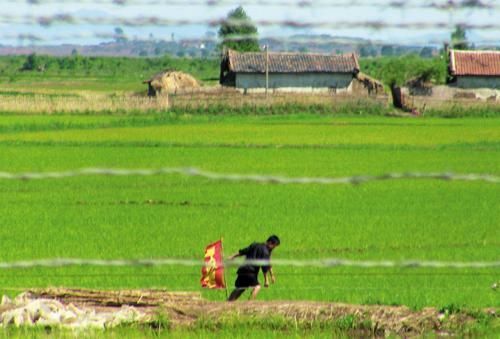 Since the mid-1990s, North Korea’s farm sector has frequently been devastated by floods and drought. 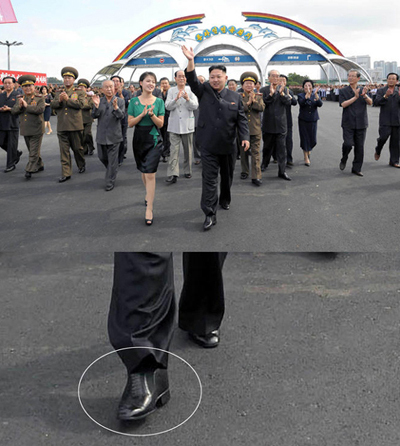 The floods could weigh on Kim’s efforts to buoy the moribund economy. Landslides and lightning storms also led to some casualties while floods damaged some coal mines, North Korea’s primary energy source, KCNA also reported on Wednesday. North Korea remains one of the most isolated states in the world. That has not changed since new leader Kim Jong-un took power seven months ago. A recent United Nations report classified 7.2 million of the 24 million population as “chronic poor” and said one in three children were stunted due to poor nutrition. The U.S. government has left North Korea off its annual list of state sponsors of terrorism for the fourth consecutive year. In the Country Reports on Terrorism 2011, the State Department said Pyongyang is not reported to have sponsored any terrorist acts since the bombing of a South Korean commercial airliner in 1987. The report, however, re-certifies the North as a country that does not fully cooperate with U.S. counterterrorism efforts under the Arms Export and Control Act. The OECD’s Financial Action Task Force, which expressed concerns over Pyongyang’s lack of regulation on money laundering and terrorist financing, said the North’s financial system is murky and its compliance with international standards difficult to measure. China on Tuesday flatly denied torturing a prominent South Korean activist who was detained in Dandong for 114 days for helping North Korean defectors. China claims no laws were broken during its investigation of Kim Young-hwan and his rights were not violated. The claims contradict Kim’s own account in an interview with the Chosun Ilbo on Monday, where he said he could smell his flesh burn as Chinese security agents tortured him with a cattle prod. Kim vividly recalled the brutal torture he suffered in the Chinese prison. “Three state security agents checked my blood pressure and collected a blood sample on April 15 and then proceeded to torture me with a cattle prod from that evening until the early hours of the following morning,” Kim said. “They put the cattle prod, wrapped with electrical coils, inside my clothes and placed it on my chest and back,” he said. “It is hard to describe the pain I felt. It felt like being electrocuted continuously.” Kim added he suffered continuous blows to his face and they stopped only when his entire face was bloody. He said he was also deprived of sleep from April 10 to 15 and was forced to wear handcuffs and stand for 10 hours straight. “That left my hands paralyzed for more than a month,” Kim said. Kim’s account of getting a medical check-up before being tortured suggests meticulous planning by Chinese security agents. There are accounts that Chinese agents warned him not to talk about the torture he suffered in Dandong. When confronted with such a vivid account of torture by a victim, the first thing to do would be to investigate whether those allegations are true. It is simply irresponsible of Beijing to deny them. Perhaps according to Beijing’s standards, the torture Kim suffered is par for the course and represents no great violation of a prisoner’s rights. But as a permanent member of the UN Security Council, China also signed the UN Convention against Torture. It should find out whether any other permanent member of the Security Council has rejected calls for a probe into allegations of torture of a foreign national. Even a superpower like China can lose global respect that way. Kim said he wants no financial compensation but simply an apology from China. It is not a huge request to make. But if Beijing rejects it, the only thing left to do is to conduct a joint investigation through the UN Human Rights Council and appeal to the international community. If human rights groups around the world join hands to pursue the truth, even China would feel the heat. North Korea on Tuesday threatened to hunt down defectors as well as South Korean activist Kim Young-hwan, who was detained in China for 114 days for helping them. “We will in the future, too, never allow those abductors, terrorists and saboteurs who dare hurt the dignity of the supreme leadership of [North Korea], encroach upon its sovereignty and threaten the safety of its people to go scot-free even by scouring all parts of the earth,” the Committee for the Peaceful Reunification of the Fatherland said in a statement. The statement singled out Kim Sung-min of Radio Free North Korea, Park Sang-hak of activist group Fighters for Free North Korea, Cho Myong-chol, a defector who became a Saenuri Party lawmaker, and Kim. “The U.S. and the South Korean puppet regime should stop at once the act of luring and abducting [North Korean] people, make an official apology for the hideous politically motivated, state-sponsored terrorism against the dignity of its supreme leadership and sternly punish the prime movers,” the statement added. The statement comes after a North Korean defector claimed in a press conference in Pyongyang that he had infiltrated the North on a mission sponsored by U.S. and South Korean authorities to blow up statues and monuments. WASHINGTON, July 31 (Yonhap) — The U.S. government expressed concern Tuesday about North Korea’s refusal to improve its regulatory system against money laundering and terrorism financing. “The Financial Action Task Force (FATF) remained concerned about the DPRK’s failure to address the significant deficiencies in its regulatory regimes,” the State Department said in its annual report on terrorism. DPRK is the acronym for North Korea’s formal name, the Democratic People’s Republic of Korea. The FATF, based in Paris, is an inter-governmental organization designed to develop policies to combat money laundering and terrorism financing. While the FATF welcomed the initial engagement, the report said, there were no further contacts. It was among the fresh issues covered by the report on North Korea, with most of others similar to those in previous publications. The report reiterated that North Korea is “not known to have sponsored any terrorist acts” since the bombing of a Korean Air flight in 1987 in which 115 people were killed. In 2008, the U.S. removed Pyongyang from the list of state sponsors of terrorism amid some progress in nuclear talks. On South Korea, the report said the country’s security authorities have maintained close cooperation with their American counterparts in combating terrorism. It said the FBI conducted a joint investigation with South Korea’s state intelligence agency and police into an international terrorism subject who had relocated to South Korea. ANJU, North Korea – Heavy rain pounded North Korea for a second day Monday, submerging buildings, cutting off power, flooding rice paddies and forcing people and their livestock to reach safety on dry rooftops. The latest rain follows downpours earlier this month that killed nearly 90 people and left more than 60,000 homeless, officials said. The floods come on the heels of a severe drought, fueling renewed food worries about a country that already struggles to feed its people. Two-thirds of North Korea’s 24 million people face chronic food shortages, a U.N. report said last month, while asking donors for $198 million in humanitarian aid for the country. South Korean analyst Kwon Tae-jin said the recent flooding, coming so soon after the dry spell, is expected to worsen the North’s food problems. On Sunday and Monday, rain hit the capital Pyongyang and other regions, with western coastal areas reporting heavy damage. In Anju city in South Phyongan Province, officials reported 1,000 houses and buildings were destroyed and 5,680 acres of farmland were completely covered. 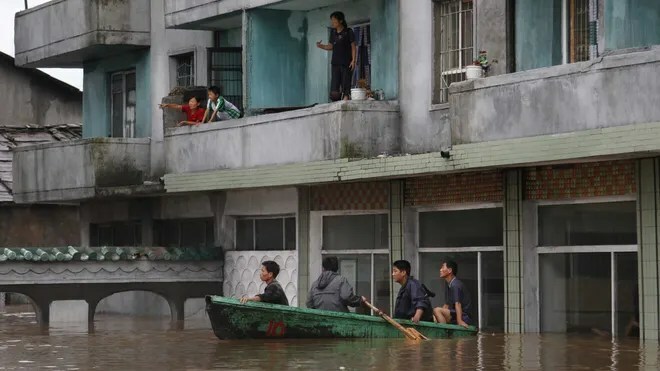 The Chongchon River in Anju city flooded on Monday, cutting communication lines and submerging rice paddies and other fields, said Kim Kwang Dok, vice chairman of the Anju City People’s Committee, who told The Associated Press that the disaster is the worst in the city’s history. Boats made their way through the muddy waters that covered the city’s streets Monday. 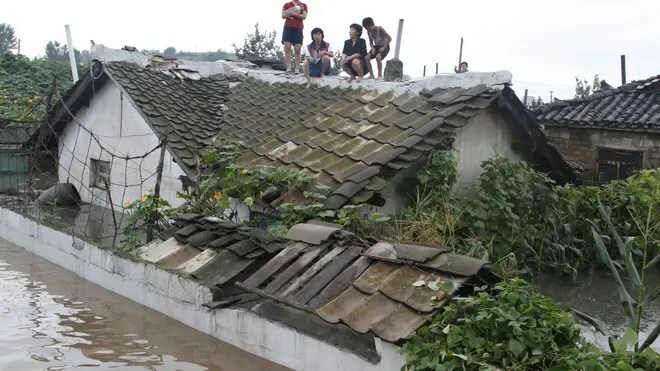 Many residents sat on their homes’ roofs and walls, watching the rising water. A young man wearing only underwear stood on a building’s roof with two pigs; four women sat on another rooftop with two dogs. Helicopters flew to various areas to rescue flood victims, state media reported. Casualties from the latest rains were not immediately reported. If it rains again before the water drains, Kim said, the damage will be greater. Earlier this year, North Korea mobilized soldiers and workers to pour buckets of water on parched fields, irrigate farms and repair wells as what officials described as the worst dry spell in a century gripped parts of both North and South Korea. North Korea does not produce enough food to feed its people, and relies on limited purchases of food as well as outside donations to make up the shortfall. North Korea also suffered a famine in the mid- and late-1990s, the FAO and World Food Program said in a special report late last year. U.N. humanitarian agency says it has sent aid workers to two North Korean regions hit by severe floods to assess the need for relief supplies. UNICEF spokesman Christopher de Bono said U.N. personnel based in North Korea left the capital, Pyongyang, on Tuesday to visit the flood-ravaged provinces of South Pyongan and Kangwon. Heavy rains have triggered deadly floods across much of North Korea since July 25. State media last reported a death toll of 88 people on Saturday. There was no immediate word on casualties from downpours on Sunday and Monday. North Korea said the floods also have left tens of thousands of people homeless and caused widespread damage to farmland. It has not made any formal requests for foreign assistance. In a report Tuesday, Pyongyang’s official news agency KCNA said Premier Choe Yong Rim visited several hard-hit towns, consoling residents and promising government support for reconstruction. It says he also called for planting more trees to prevent soil erosion. Many parts of North Korea have become prone to flooding because of deforestation. A U.S. State Department spokesperson said that Washington continues to be concerned about the North Korean people, but has no plans to make its own assessment of the impact of the floods. She said the United States does not link the provision of humanitarian assistance to political or security issues. A recent U.N. report said two-thirds of North Korea’s 24 million people face chronic food shortages. Analysts say the latest flooding could make matters worse, since it came at the end of a drought. SEOUL, July 30 (Yonhap) — South Korea is taking the claims that a rights activist from the country was severely tortured while under detention in China seriously, and will do everything it can to verify the claims and ensure the safety of its citizens, the presidential chief of staff said Monday. The 49-year-old activist Kim Young-hwan was expelled from China and returned home on July 20 following his 114-day detention on suspicions of endangering the country’s national security, a charge believed to be related to his campaign to help North Korean defectors and other human rights activists. Kim publicly admitted last week that he suffered from both physical abuse, including electrical shocks, and sleep deprivation during his detention. “The government and the presidential office are taking the matter seriously,” said Ha Kum-loul, the chief of presidential staff during a plenary session at the National Assembly, responding to a ruling party lawmaker calling on the government to take more proactive actions against China over the issue. South Korea’s foreign ministry has come under fire for failing to take proper diplomatic actions against China when it first learned of the alleged abuse of a prominent activist in Chinese custody. “The government spares no efforts to find cold facts with the Chinese government. We will do everything possible to protect the lives and guarantee the safety of our people and human rights activists, though whether to bring the matter to the United Nations has not been discussed yet,” Ha said. Also on Monday, the activist disclosed fresh details of the alleged torture and ill-treatment. “Beating and electrical shocks continued for five to eight hours from the night of April 15 until dawn on the following day,” Kim told Yonhap News Agency shortly before heading to the National Human Rights Commission, a state rights watchdog in Seoul, to testify. “For seven days starting April 10, I was forced to stay awake all day long, and physical pressure began on the sixth day,” he said. The Chinese authorities even had him sleep while seated on a chair in handcuffs during one entire month of interrogation, he claimed.